To keep them happy, here’s ten items to add to your holiday kitchen hoor gift guide for the kitchen hoor in your life. This is just a few of the items I hope we get this holiday season. I know it would seem common sense and probably pretty basic, but I don’t have a great apron. 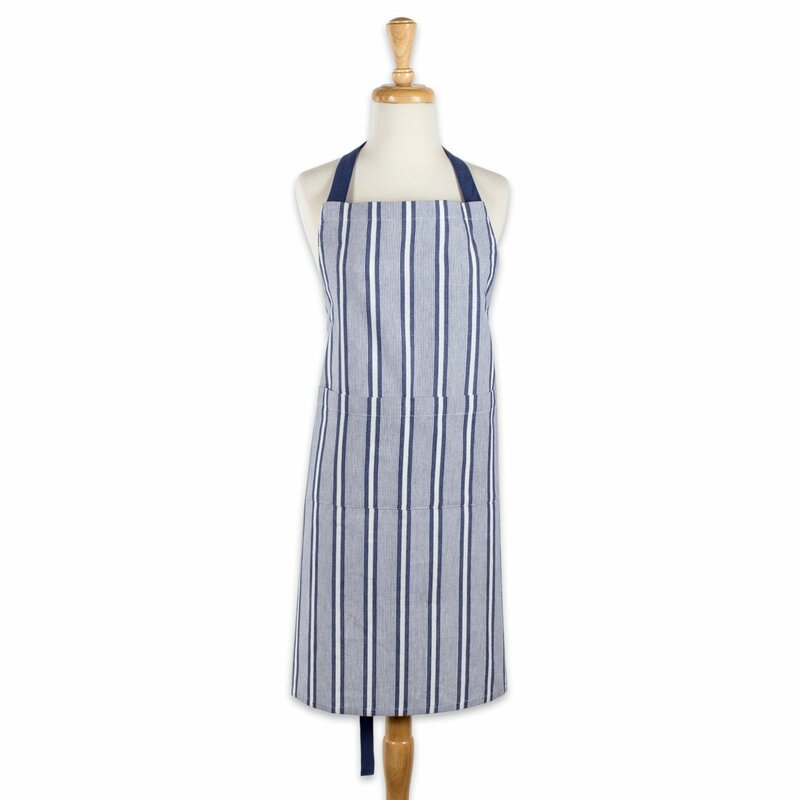 Every kitchen hoor should have a great apron. That’s why I’ve put this one on my holiday kitchen hoor gift guide. A good kitchen hoor needs one that will late many washings and has a long tie that wraps around. Why, you ask? So that you can stick a towel or a napkin in the string and have it accessible as you wash your hands after rolling cookies, stuffing chicken breasts, or carving a roast. Baking sheets. Many of them. I feel like I always have these on my holiday kitchen hoor gift guide because you can never have too many baking sheets in my book. When I make macarons, I have three spread out with silpats on top. Cookies usually require more than one or sometimes two sheet pans. It’s always good to have many. In my case, I love Chicago Metallic. Their bakeware last a long time. They’re sturdy and take even the most horrible abuse. We have used the same roasting pan with a rack (granted the rack hasn’t lasted very long) for many years. I have their popover pan, muffin pan, baking sheets. They rock! I have one of these. 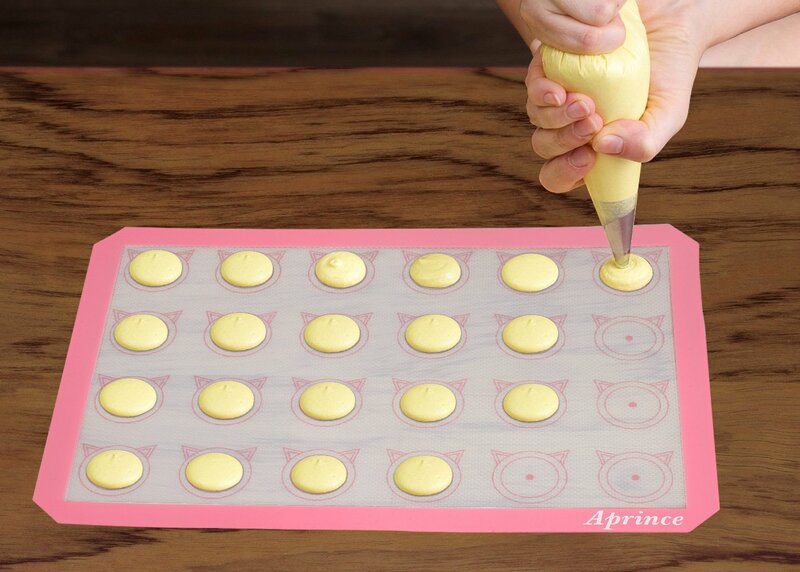 It’s a great tool to have when you’re piping macaron. It has a couple of sizes and some ears shapes if you wanted to do polar bears, cats, or pigs. I’m sure you want to know why I just have one. Because, you see, you can put it under other silpat mats and use it as a template. 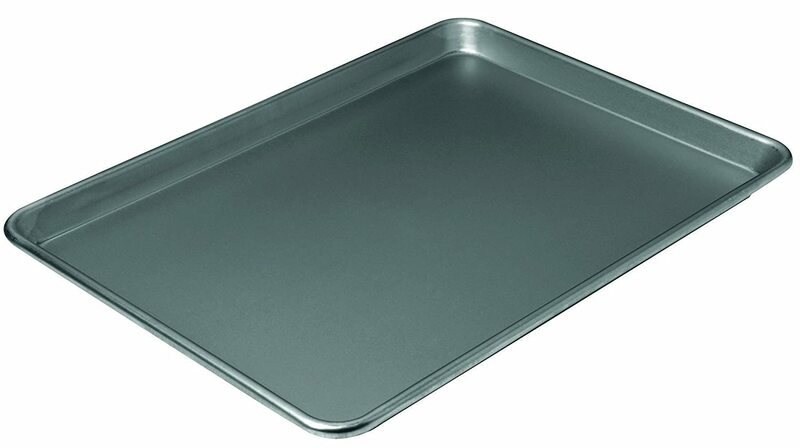 Once you’ve filled that mat, carefully lift if up, put it on your Chicago Metallic baking sheet, and then place another silpat on top. It’s the best template I have and then when I’m finished, I simply pipe macaronage onto this silpat. This makes my macaron all the same size. This is a recent-ish addition to our home. This Fagor multi-cooker is the bomb. 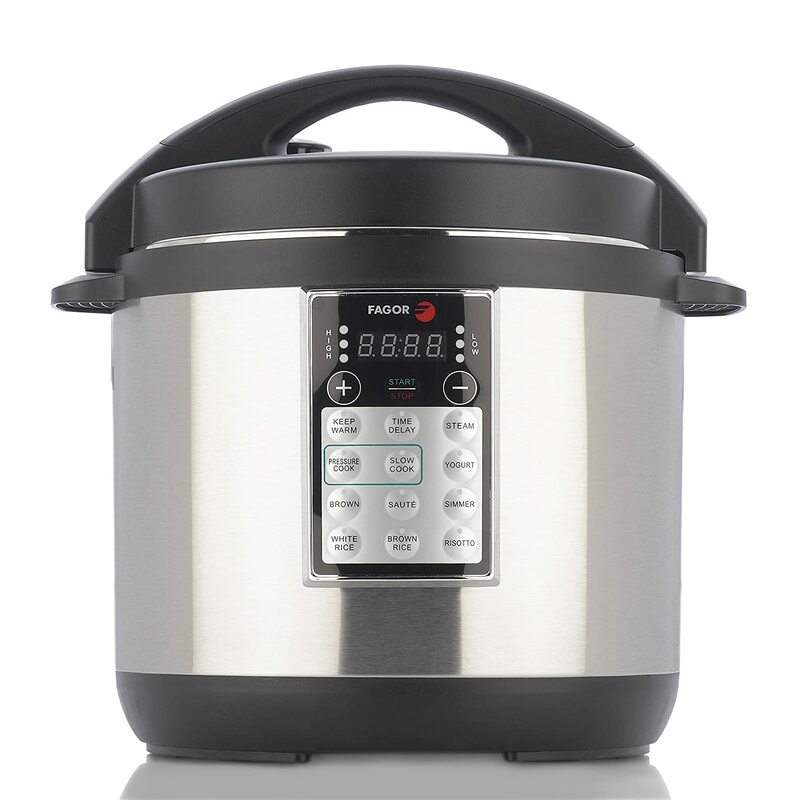 I think, if not this one then another multi cooker, is an essential to a holiday kitchen hoor gift guide. I haven’t used an insta-pot. I’ve only been exposed to a slow cooker and rice cooker. By the way, that’s next. But this Fagor cooker does risotto in about 20 and it’s hands off for most of the cooking time. I learned that if I set it to brown, the onions and risotto sauté faster, the cooker comes to pressure faster, and your risotto comes together faster. I’ve made countless recipes in it since I purchased it. I can delay the slow cooker 6 hours. However, I typically pressure cook things now. LOVE this feature! It’s been forever since I’ve used a pressure cooker. I cannot imagine life without this awesome kitchen tool! Here’s the rice cooker. I had a basic one that the hubs got me once for Christmas. I loved it. It made awesome rice! And you know me! I love rice especially for stir-fry recipes. We were moving from one apartment to another and it accidentally fell out of the truck and broke. I.was.heartbroken. 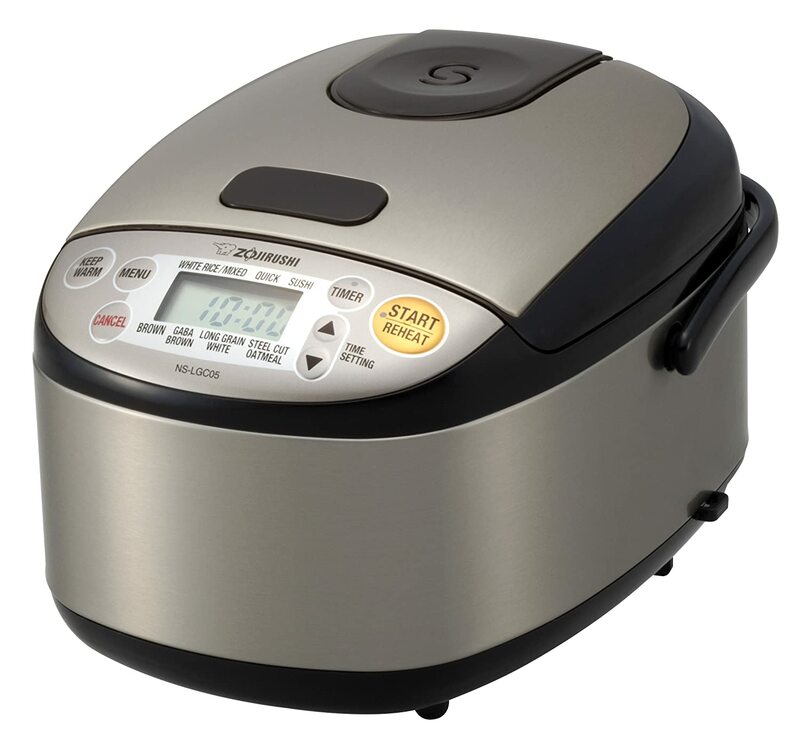 I made rice on the stove top until he bought me this amazing rice cooker. I know, you’re wondering why I have this rice cooker and an amazing multi-cooker? Because I can totally set the rice cooker to make any kind of rice and some grains the day before. Sometimes, I need to use both because I’m making something in the multi-cooker that I’m serving over rice. And, sometimes, I just want oatmeal and don’t want a huge pot of it. And now to some of my fave or lusted after baking tools. 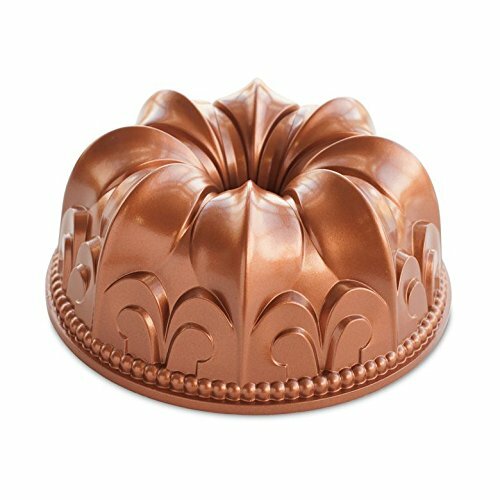 I long for a pretty bundt cake pan. I don’t have one. Mine is totally boring and straight sided. I’d love to have a few of these, but I think this one is the prettiest. I think I would bake more bundt cakes if I had a pretty pan like this one. I’m hoping someone will see this on my holiday kitchen hoor gift guide and get it for me?? Hint hint! If not this one then a pretty one. I have a pizza stone. But I’m total enamored of the pizza steel! 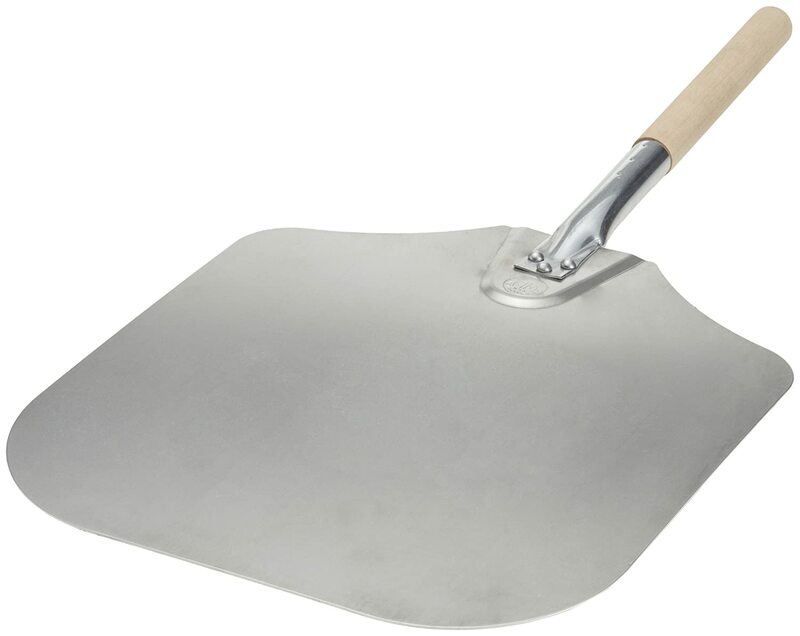 Not to be confused with a pizza peel, which is next. Now that I’ve done a lot of pizza or bread baking lately, but I love me a good stone in the oven to toast up some tortillas, reheat pizza, or make some quick rolls. Have a stone or steel in the oven also keeps a more even, radiant heat in your oven. I keep mine in there all the time. I have this peel. 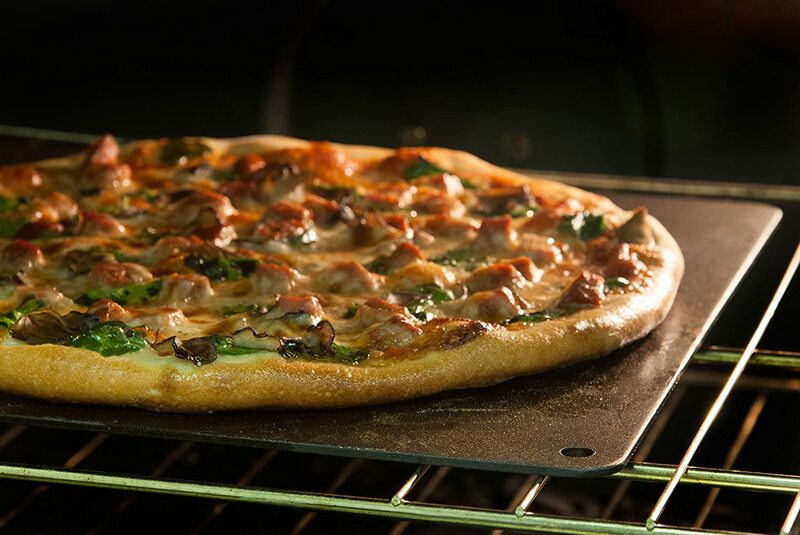 It’s the easiest way to make pizza. It’s also great for removing bread from the oven, too. I know it seems like a superfluous item for the kitchen, but I love mine and am glad to have it. When I bake serious bread, I don’t like to use a baking sheet. Pizza can be assembled on the peel and then scooted to the stone or steel. There’s just so many uses for a peel if you’re an avid or even serious baker. I think I’ll be making some pasta this winter. Mom bought me a pasta attachment. I think the one I have does spaghetti and linguine like this set, but I know there’s one for ravioli. That one is totally going on my holiday kitchen hoor gift guide! To make ravioli easily would be amazing. Now, I didn’t even know these extruders were even on the market! They make short pastas. Mind blown. 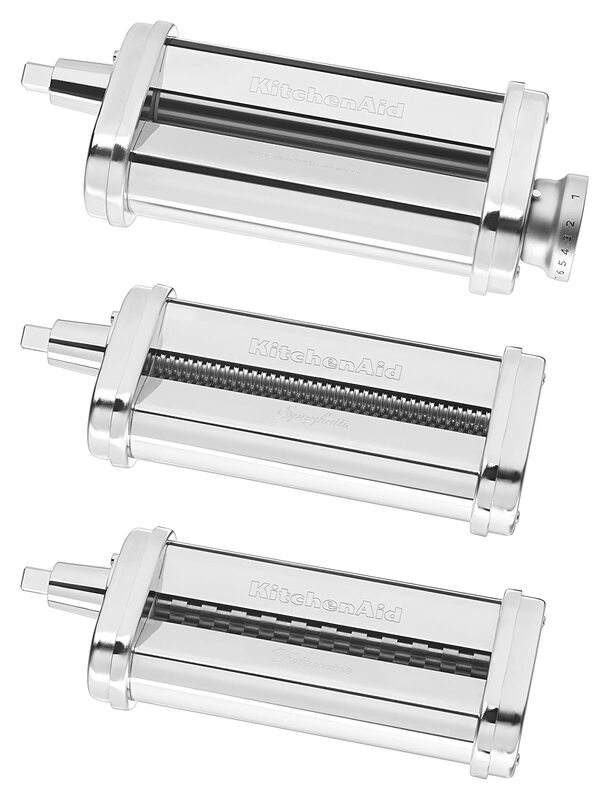 I can’t wait to get my hands on these babies and make some ronis or other short pasta with my KitchenAid. This set makes 6 different shapes which is perfect for a holiday kitchen hoor gift guide. Rotini is one of my favorite shapes, so I love that it’s pictured. I have added these and many more items to my every growing wish list of kitchen hoor items. In lieu of a shopping page, which I’m working, this wish list should have everything you could ever want to be a great kitchen hoor! The links contained are affiliate links. Purchases made through these links help keep A Kitchen Hoor cooking! I hope you enjoy any purchases you make based on these posts. And, I hope you continue to follow A Kitchen Hoor’s Adventures to see what other goodies are used, shared, or made for the holidays! I love the mat for macarons that you can make animals by adding ears. Too cute. I have that Bundt pan and love it. 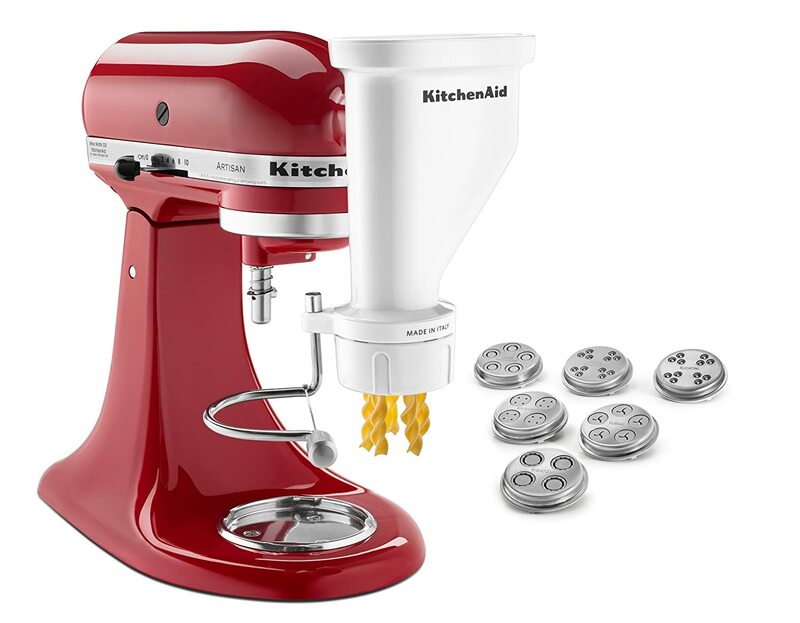 I’m thinking of asking for the pasta attachment for my KitchenAid. Nice selection! I am going to try my pasta attachment this weekend, I think. I hope. I have some beets and want to try beet pasta. We’ll see how it goes.